The fountain commemorates the turning on of the Willow Tree water supply in 1962. This drinking fountain was unveiled by the Hon. R. J. Heffron, M.L.A. 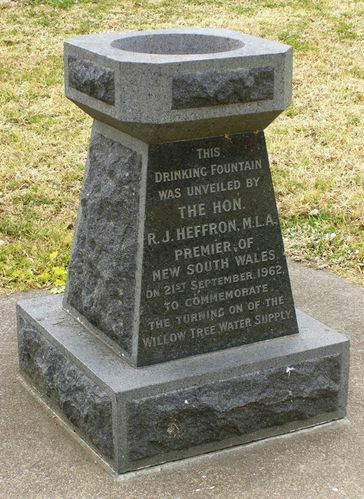 Premier of New South Wales on 21st September 1962 to commemorate the turning on of the Willow Tree Water Supply.